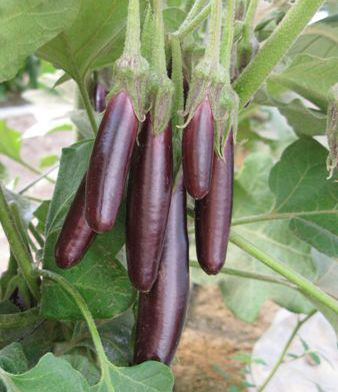 (Solanum melongena) Eggplant is easy to grow and produces high yields of nutritious fruits. 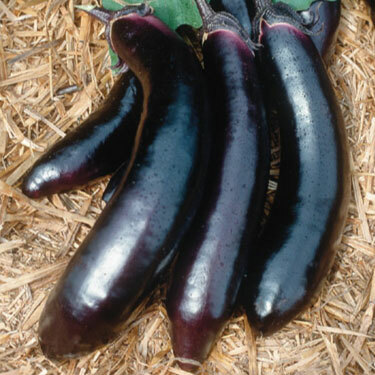 Growing in popularity in America, eggplants have been staples in India and Asian cuisine. 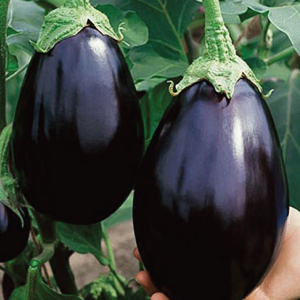 With beautiful purple flowers and handsome glossy fruits, eggplants look beautiful in gardens, borders and pots. 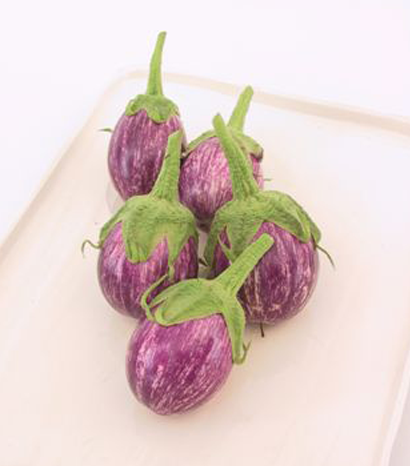 The Orient Express eggplant is a very beautiful, slender and glossy early maturing eggplant that can handle extreme temperatures! 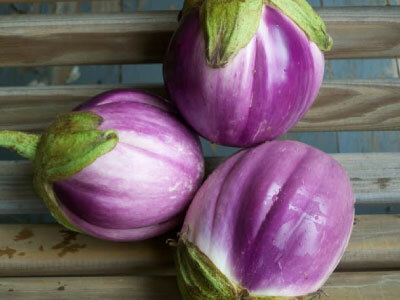 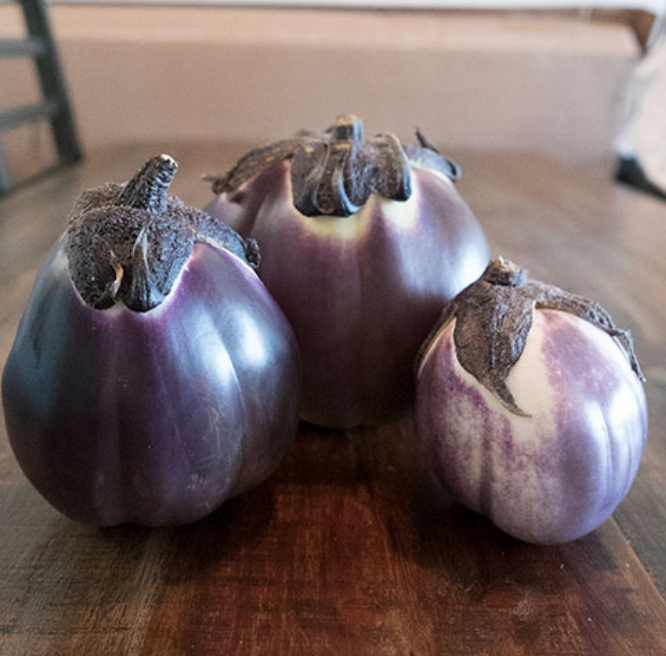 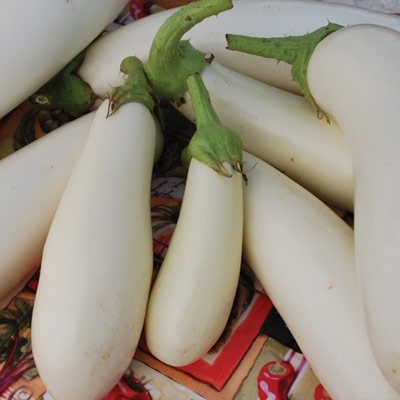 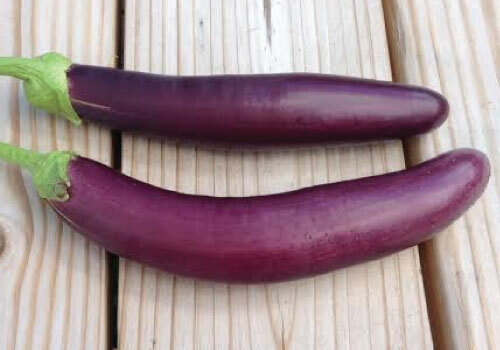 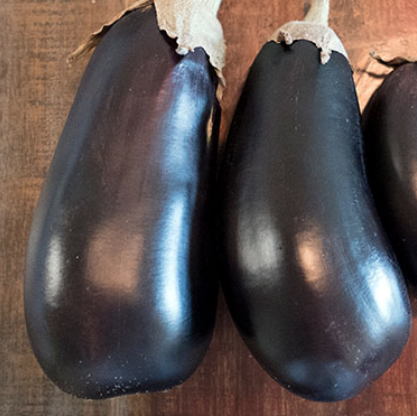 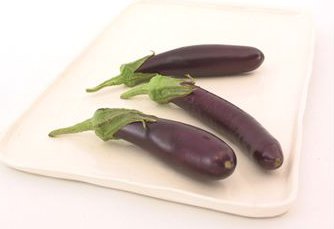 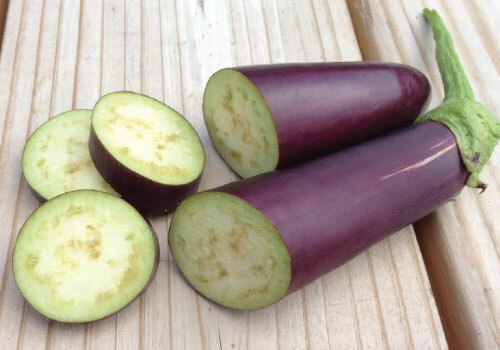 The Piccolo eggplant is a beautiful and eye catching eggplant with a purple and white striped skin with firm flesh that is great for stuffing and pickling. 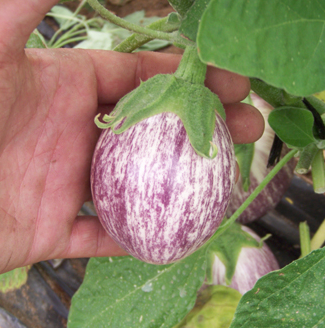 The Prosperosa eggplant is a favorite for its eye-catching shape and color, making it the perfect addition to any garden! 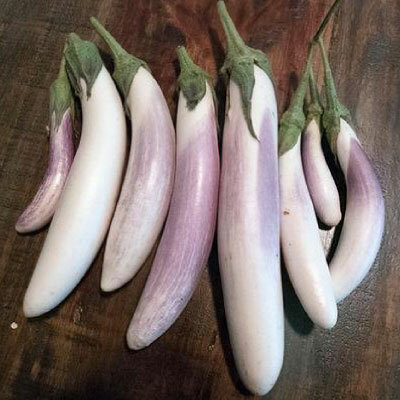 The Rosa Bianca eggplant is a light pink and white marbled eggplant with an excellent flavor that is a wonderful addition to roasts or stews! 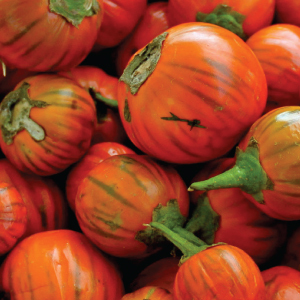 The Turkish Orange eggplant is a vibrant orange, tennis ball sized eggplant that has a very flavorful, sweet and rich flavor that is perfect for stuffing.